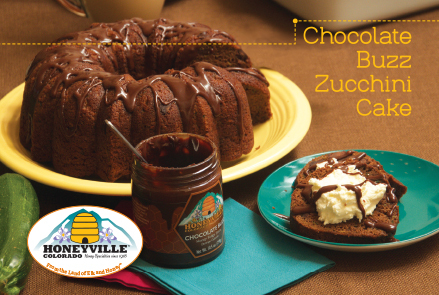 CAUTION: CHOCOLATE BUZZ MAY BE ADDICTIVE. 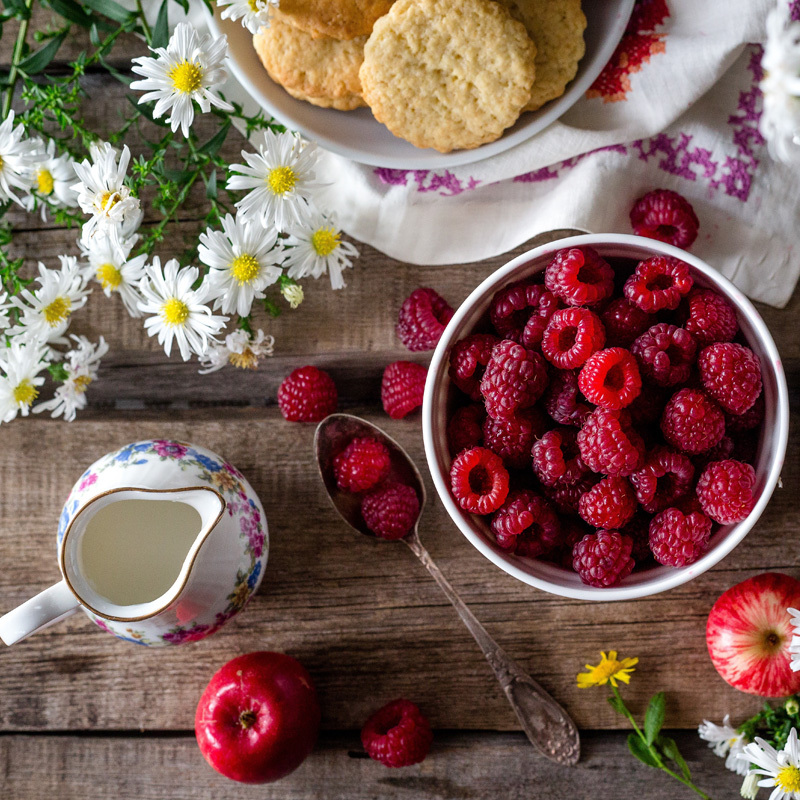 Ingredients: Rich semi-sweet chocolate, honey, cream, vanilla, sodium benzoate. This is the best gift if your love one or friend loves chocolate. Chocolate Buzz is absolutely delicious! I bought this package to give as gifts to Massachusetts friends. They are happy! 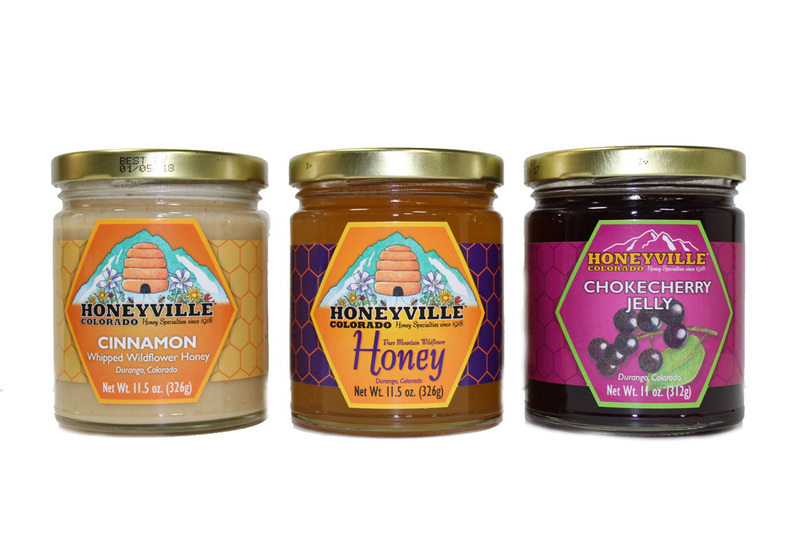 We love Honeyville. We used to go there weekly when we lived in Durango. Now we order it and give it as gifts to the family who used to visit us. They are hooked on it now too. 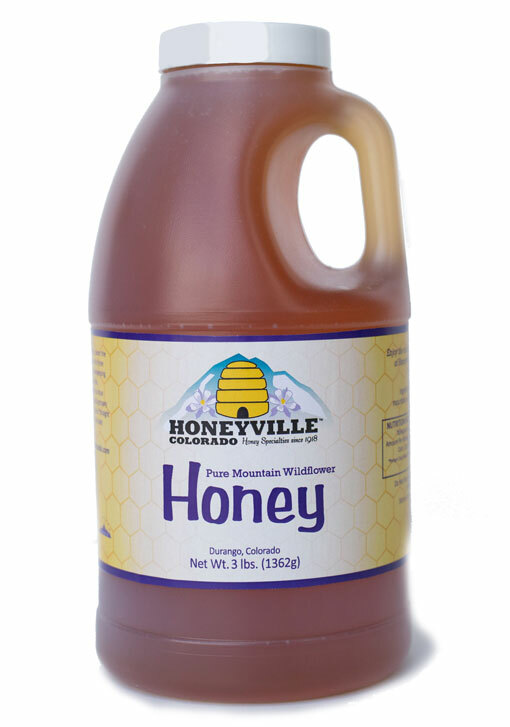 We love this stuff and pick up a few jars whenever we can (usually when we're in Pagosa Springs, CO). We're bringing this order to Ireland to share some southwest products with the people we're visiting. We know they'll love it! Pinch me, am I awake? I can't believe I found an awesome chocolate sauce NOT made with processed white sugar or nasty artificial sweeteners!!! I wish I had a case of this. 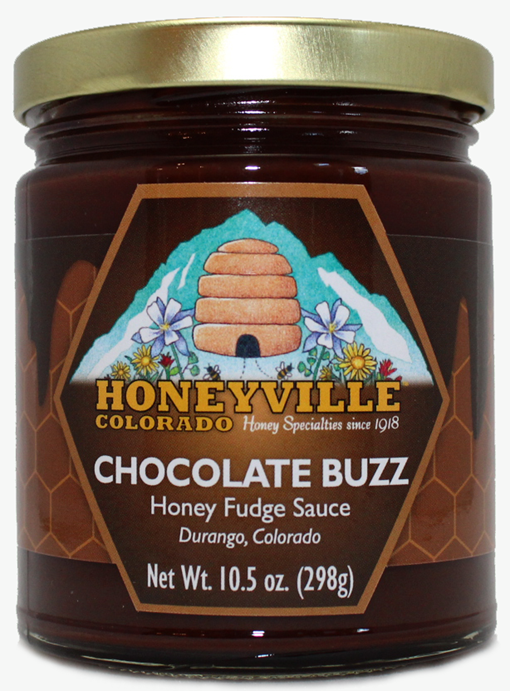 Chocolate Buzz is a great gift for relatives. Wish you still made Peppermint Chocolate Buzz. It was the perfect Christmas gift. Just amazing. I don't know of another word. I bought about a case of stuff. Hands down, my two faves are the raw whipped honey, and the CHOCOLATE SAUCE!!! I am buying a bloody CASE of that stuff! I am in love with this store!! 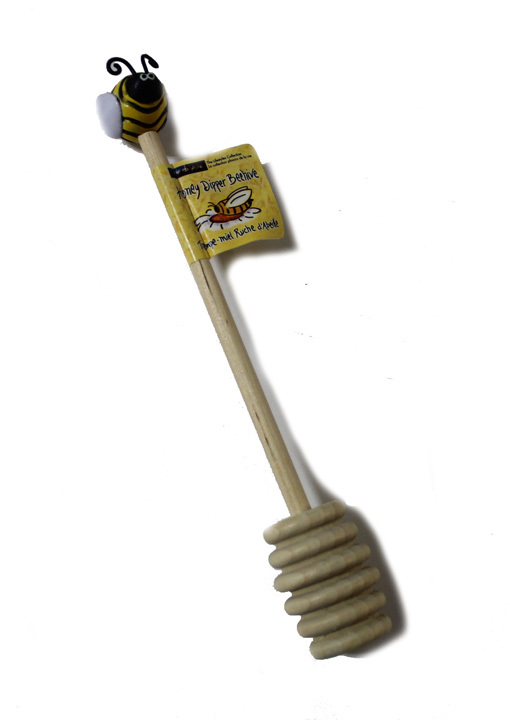 It is small, filled with wonderful honey items you can taste. They have wines and my son and I have our favorites already. If you are ever in the Durango area this is a must visit. Oh, yeah, the gals are great!! !